Recorded at "Soundstation", Liège and at home on 4-track between September 97 & October 98. Flexa Lyndo is a new name on the scene, but not a new band : these guys have been operating under the name "De Profundis" for a couple of years, but because this name was attracting a public of dead crows & other serial killers, they chose to change it in August of last year : enter Flexa Lyndo. The group produces guitarsong in the well-known american tradition of Pixies & descent (listen to "Birth of Sara") ... Mostly good references this, but the other side of the medal is that they have listened to these examples a bit too enthousiastically : rarely a song on this cd passes with you wondering whether you've heard this somewhere before. A couple of times there are little gems on it, a few times the band crashes sadly. Take for instance "Girls On The Screen" and "Happy as you See" : both are built around the same silent-loud-silent concept, but the first is a catchy tune that got some airplay, the second is a sad sight that asks for quick euthanasia. Also good are "Empty spaces", "Sunny Dreams" & "Garbage is garbage" (wait 'till Shirley Manson hears this) and the closing track "So What?". Methinks the words "nice", "fair" and "not quite" were invented especially for this kind of cd's. - Frédéric Lorge in The Ticket, April/May 1999 : " They serve us an album filled with tintillating guitarpop, although we regret the complete lack of surprises : the first chords are usually the same as the last, despite the fact that the melodies tend to divert and take sidesteps. The album sounds a bit smothered and leave a clumsy impression". - Kloot Per W in Stage, maart 1999 : "A band that has listened very well to the Pixies and more recently Grandaddy and has well-understood the playful lunacy that makes/made these bands so much fun. I kinda like this unpretentious guitar-rock and their amusing lyrics & musical sillyness". - BDK in the french-language version of Rif-Raf, March 1999 : "These are the new Beatles, the spiritual sons of Pavement, the new name the Pixies have taken. The production is incredible, the arrangements are pure and splendid in their creativity. One gets the impression of alternately being in a cathedral & a garage, perverted & angelic at the same time ... 45 minutes of stereo-happiness in the land of Tintin". - jg in mofo, March 1999 : "Girls on the screen" (with the "Yeah" of producer Franco Pellegrini, guitarist-singer of Little Rabbits) was already a good omen for this amusing, non-revolutionary cd. Three quarters of an hour of sincerity and a certain freshness". - There's also quite a bit of info on the site of 62TV records. 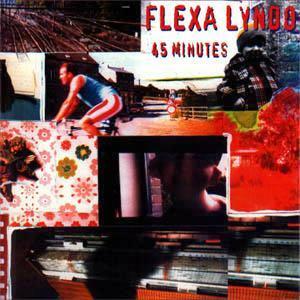 - Pictures of Flexa Lyndo at the Nandrin Festival 1998. You can order this CD from a number of locations (prices researched on June 21, 1999, but nothing guarantees they still are the same when you read this).